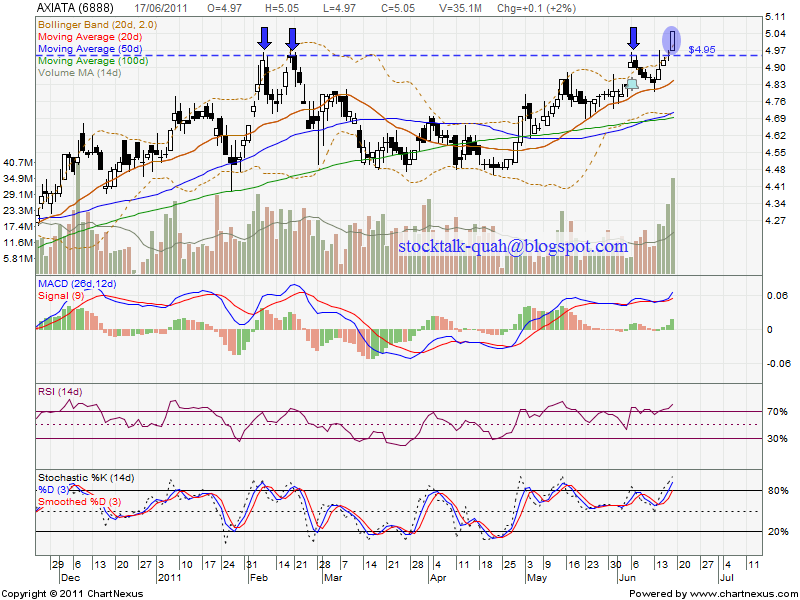 On 17 June, AXIATA (6888) is break through heavy resistant, RM4.95 level. It formed higher high & higher low. 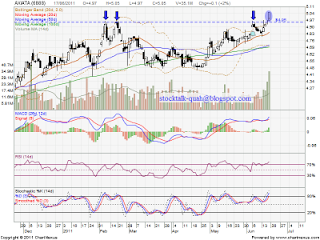 Subsequent support would be bolinger middle band, RM4.85 level.